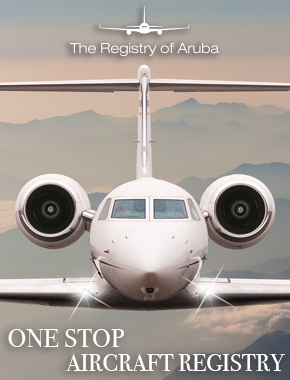 The private aviation market continues to be a challenging and turbulent one for many of the players involved, be they operators, owners, lenders, investors or passengers. Michael Savva, Senior Assistant in the Asset Finance team at Watson, Farley & Williams, summarises the key developments in the market in 2011 and how they will continue to shape the market. Last year saw Lufthansa strike a deal with NetJets Europe to (re-)establish a service, known as Lufthansa Private Jets, to offer first-class and business-class passengers flying long-haul the add-on service of continuing their journey within Europe by private jet. One such added-on benefit for Lufthansa passengers will be the ability to book flights in NetJets aircraft with as little as ten hours’ notice. Other carriers are thought to be considering doing the same, whether by forming similar partnerships or by establishing their own businesses by acquiring private jets themselves. Without doubt, such add-on services have advantages for both the customers (who get a seamless, premium service from the start to the end of their journey) and the airlines (who tap into a potentially lucrative market with regular demand). However, it remains to be seen whether the airline partnership model is a viable one. Lufthansa and NetJets Europe’s previous attempt at a similar partnership had its difficulties (though the recession towards the end of the last decade could not have helped), and some doubt whether this type of partnership will ever be more than a small part of a private jet operator’s business. One problem may be the availability of slots at the “hub” airports such as London Heathrow, Charles De Gaulle and Orly, which may result in such services having to operate from regional airports instead. In some cases, lenders are demanding more frequent surveys (as often as annually), increasing the running costs related to such finance for the borrower. 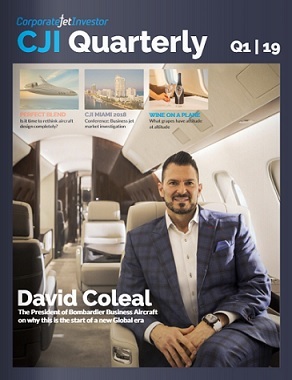 Whilst it is to be commended that lenders are returning to the private jet market, the increased costs and more onerous conditions involved mean that gaining access to finance can still be daunting for some of the more challenging credits. The upturn has, in part, had to do with many financial institutions that disappeared from the market during the economic downturn coming back into the market, as well as manufacturers being more willing to assist customers in finding finance. 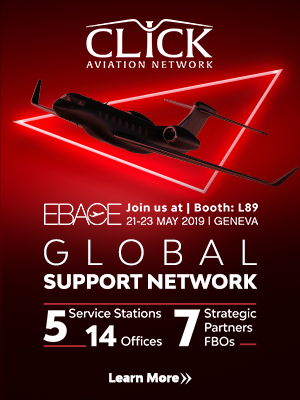 However, a key development in private jet finance has been the (re-)entry into the business aviation market of the export credit agencies (“ECAs”), such as Export Development Canada, COFACE and US Ex-Im, in response to the severity of the credit drought in the market. This development has been most notable in emerging markets. With ECA involvement in the private aviation market increasing, it is also worth noting that February 2011 saw the signing of the revised Aircraft Sector Understanding on Export Credits for Civil Aircraft (the “2011 ASU”), which applies to all types of official state support for export credits. The 2011 ASU sets out the most favourable terms permitted for aircraft financing transactions supported by the export credit agencies of members of the Organisation for Economic Cooperation and Development, as well as Brazil. The new rules are intended to “encourage competition among exporters based on quality and price of goods and services exported, rather than on the most favourable officially supported financial terms and conditions”. In essence, the new rules aim to level the playing field and narrow the pricing gap between transactions backed by ECA support and those offered by commercial lenders. That state must also appear on the then current version of the “Cape Town List” to be maintained pursuant to the 2011 rules. Despite continuing economic uncertainty going into the New Year, it is hoped that the developments over the last twelve months will continue to help the private jet market recover in the near future. Growing interest from non-traditional markets, such as China, in providing finance to the private jet and helicopter market, may provide further impetus to the recovery. The Cape Town Convention (the “Convention”) continues to expand in scope, with 44 states now having contracted to be a part of it. 2011 saw ratifications from nine countries (Belarus, Brazil, Cameroon, Kazakhstan, Latvia, the Russian Federation, Tajikistan, Togo and Turkey), with the Convention entering into force in six of those. The Convention entered into force in Belarus earlier this month and is expected to enter into force in Brazil in March and Togo in April. Whilst the Convention applies to aircraft (including helicopters) and aircraft engines that meet certain size and power requirements (provided that certain other criteria for application of the Convention have been fulfilled), the position as regards helicopter engines is more complicated. Current industry practice suggests that helicopter engines are considered a separate “aircraft object”, and therefore covered by the Convention, when not attached to a helicopter but do not need to be registered when attached to a helicopter. As a result, our recent experience is that Cape Town registrations have been made against helicopter engines by some. Lenders, when financing a helicopter, may therefore still wish to consider conducting appropriate searches at the International Registry to see whether anyone else has registered an interest over a helicopter’s engine(s). It is hoped that the benefits of both the expansion of the Convention and the adoption of the 2011 ASU will be felt, by increasing access to finance, and on better terms. However, while the global economic climate remains fragile, this may take some time to come to fruition. It is by now well known that as part of the UK government’s March 2010 budget the rules relating to the VAT on the supply of aircraft were changed. The change came in response to a successful challenge from the European Commission on the basis that the UK’s old rules did not correctly implement Article 148 of the VAT Directive by allowing for the zero-rating of aircraft that were neither used by airlines, nor used on international routes, which was considered contrary to the purpose of the VAT Directive. The changes were initially scheduled to come into force in September 2010, however, industry concerns led to the government agreeing to a two-month consultation on the changes and a delay in the implementation date to 1 January 2011. With effect from 1 January 2011, the definition of a “qualifying aircraft” in UK legislation was changed (with the exception of aircraft used by a State institution) to “any aircraft which is used by an airline operating for reward chiefly on international routes“. The previous definition treated an aircraft as “qualifying” if it weighed not less than 8,000kg (a definition which captured a good number of private jets, contrary to the purpose of the VAT Directive). The new definition tracks the wording of the VAT Directive and now puts the focus onto the airline rather than the aircraft. The new definition of “qualifying aircraft” can be split into three limbs. First, the aircraft in question must be operated by an “airline”. Under the Value Added Tax Act 1994 (the “VAT Act”) an airline is “an undertaking which provides services for the carriage by air of passengers or cargo or both.” Guidance from HM Revenue & Customs (“HMRC”) has indicated that in order to be an “airline” such an undertaking (whether a sole proprietor, partnership, corporate body or even a VAT or corporate group) must own, lease or hire at least one aircraft (seemingly regardless of whether or not such an undertaking holds an Air Operator’s Certificate (“AOC”), which gives the holder the right to offer flights to the public as, whilst a company holding an AOC can be an “airline”, it does not need to own, lease or hire an aircraft and, therefore, may not be an “airline” within the VAT Act). The second limb, that the airline must be “operating for reward” is more straightforward. HMRC guidance states that, provided the airline is providing either passenger or freight transportation (or both) on scheduled or unscheduled flights (or a mixture of both) in return for consideration for that supply, it will be considered to be “operating for reward” (whether or not it is operating for profit). The third limb is that the airline must operate aircraft “chiefly on international routes”. An “international” route is any route that is not a domestic route within UK airspace (the usual boundary of which is twelve nautical miles from the coast). Routes between (i) the UK and the Channel Islands and (ii) the UK and oil rigs outside the twelve mile limit are international routes, though routes to and from the Isle of Man are not, according to HMRC. The main problem, however, is the concept of “chiefly”. The ECJ case of Cimber Air (C382/02) found that chiefly could primarily be determined by the turnover of the respective operations but did not rule out other tests (which can be either applied in conjunction with or separate from the turnover and with each other). Examples of other tests can include number of flights undertaken, number of seats sold, number of passengers/volume of freight flown and a function of the distances travelled. Whether private aircraft can be treated as “qualifying” aircraft (under the new definition) is debatable and is currently unclear. Traditionally, a private aircraft is not owned by the company which holds an AOC but, rather, owned by a company which itself is owned by the individual who wishes to use the aircraft. The aircraft is then operated pursuant to a management or operating agreement by another company which holds an AOC (but does not necessarily own, lease or hire an aircraft). HMRC’s current view is that an aircraft management company, even if it holds an AOC, is not operating as an “airline” for VAT purposes. It is possible that this view may change or may even be challenged in the near future. We are aware that, due to the uncertainty prevalent in the UK, the Isle of Man has been used as a location for the operation of private aircraft using a similar model to that previously used in the UK, seemingly with the consent of the Isle of Man tax authority. It is not yet known how HMRC view these arrangements and whether efforts will be made to align the approach taken by HMRC and their Isle of Man counterparts, given both are applying identical legislation. Only time will tell. For many aircraft operators, 2011 will have been a countdown towards the implementation of the EU Emissions Trading Scheme (“EU ETS”), the compliance period of which, for aviation at least, commenced on 1 January 2012. Monitoring plans and baseline data will need to have been submitted, and emissions will need to have been reported, long before now. However, operators will need to have had their emission reports verified by an accredited independent verifier by 31 March 2011 and the verification process for compliance in 2012 should already be well under way. A number of entities, including Eurocontrol, have established support programs or expanded their existing portfolio of management services to support aircraft operators prepare for the onset of the EU ETS and its procedural requirements. Services include monitoring flight data, calculating CO2 emissions and managing production of the annual report. Whether or not the EU ETS is implemented according to plan, a number of questions remain unanswered as to how the scheme will operate going forward. What will happen to allowances “owned” by an operator that enters into administration or liquidation? Will a merged airline retain all allowances afforded to both airlines pre-merger? Can allowances be encumbered and granted as security and will such security be valid and enforceable against a liquidator? Can any such allowances be revoked by the relevant regulator? These are critical issues which both lenders and operators will need to consider and which will need to be monitored during the early implementation and compliance period of the scheme. Guidance on these issues would be welcomed by the market. The operator either: (a) does not operate in the EU; or (b) operates in the EU but in relation to aircraft other than the relevant leased or financed aircraft. In such circumstances, a lender may wish not to include EU ETS compliance provisions. However, in some circumstances, a lender may wish to limit subleasing rights so that the airline would either require the lender’s consent to sublease the aircraft or it would be a condition to subleasing that EU ETS requirements would be complied with by the relevant operator. Also, if the operator changes the nature of its operations, the EU ETS provisions may become applicable. As airlines/operators are allocated to individual member states by the EU Commission (either the member state which granted that airline’s/operator’s AOC (if it has one) or, otherwise, based on its aviation emissions in 2010), lenders may need to seek advice on which member state will have responsibility for the relevant airline/operator which is operating an aircraft subject to a finance or operating lease. Once that has been determined, the lender will need to discuss with its advisers as to the appropriate provisions to be inserted into the lease or finance documents. Provisions in any lease or sublease similar to the above, together with a provision giving the lessor the ability to monitor charges incurred by any permitted sublessee or operator. Despite the preliminary ruling of the Court of Justice of the European Union in December 2011, which confirmed that the EU ETS Directive infringes neither (i) the principles of customary international law at issue in the case nor (ii) the Open Skies Agreement between the US and the EU, opposition continues against the EU ETS from numerous quarters, notably from the US and China. The opposition view continues to be that, as a global industry, any measure must be taken at a global level and the EU ETS, in its current form, simply imposes a regional scheme on third countries. Airlines for America, the newly-branded US airline industry body, whilst “complying under protest”, has said that it is reviewing its legal options. Retaliatory threats – from trade wars, action against Airbus’ manufacturing operations in China, the possibility of taxing European carriers and blocking access to certain routes – have been mooted. The threat of separate legal action from the Chinese aviation industry (through the China Air Transport Association, “CATA”) looms on the horizon. In the meantime, CATA has said that its members would not co-operate with the scheme. However, at present, the EU is standing firm on its plans. The aviation industry hopes that, in the midst of this storm, ICAO (the International Civil Aviation Organisation) comes up with a global solution soon. The aviation sector is holding its breath. This one could fly for a while.